"Nutritionists or Nutritionists-in-training should own this book. Any edition will work, whatever's cheapest, but it is chock full'o useful resources." 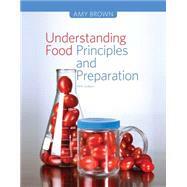 Understanding Food, 5th Edition: 4 out of 5 stars based on 1 user reviews.